The Almara dining and occasional collection is an elegant yet contemporary range in warm walnut tones. The Grey PU of the dining chair is carried through to the occasional pieces, softening the look and feel. •HANDCRAFTED: Classic French farmhouse style cross leg table, complemented by simple yet robust cabinet pieces. •MANGO HARDWOOD: Produced from Mango fruitwood using traditional carpentry methods and finished by hand. •EXTENSIVE RANGE: With numerous beautiful pieces to choose from, you can create your own combination. •HAND MADE: This stunning dining range is carefully hand crafted using only the finest materials. •NATURAL MATERIALS: Mango wood and carved detailing gives a distinctive and elegant look. The Hannah Large Sideboard 2 Drawer Over 4 Drawer is made from solid oak, the base is grey painted and the top is in natural finish. The stunning stone-painted finish collection crafted in solid oak and oak veneer, combining curved legs and edges with dovetailed joints, will be the centerpiece of any room setting. With its fresh, modern design and smokey oak tops, Treviso Painted offers an abundance of character. Wooden and metal handles are included in all pieces. Crafted from solid oak and selected oak veneers with a luxurious stone-painted finish, the Heritage collection with its traditional appeal offers outstanding value for money. An extensive occasional collection of furniture will offer something for everyone at a very affordable price point. The well proportioned Hartford Acacia collection of furniture offers an elegant yet simple range of furniture ideal for every size of living space. Designed to provide practical, yet stylish solutions to living room, hall and dining room needs. The Hartford Painted collection, constructed from solid oak and selected oak veneers, offers great quality at an affordable price point. A stunning collection of contemporary dining and occasional furniture with a unique curved finish. Treviso offers a striking range for many living room designs and entertainment rooms. A solid oak and oak veneer range with curved edges and curved legs combined with dovetailed joints offers a collection that will be the centrepiece of any room setting. With a choice of metal and wood handles included. Treviso bring a fresh, modern design that offers an abundance of character. The well proportioned Hartford Acacia collection of furniture offers an elegant yet simple range of furniture ideal for every size of living space. Designed to provide practical, yet stylish solutions to living room, hall and dining room needs. The Hartford Acacia collection, constructed from solid acacia and selected acacia veneers, offers great quality at an affordable price point. Rustic good looks and a natural finish make the stylish Nixon dining room furniture range a great choice. Made from reclaimed materials, the pieces make a life-style statement in any home. 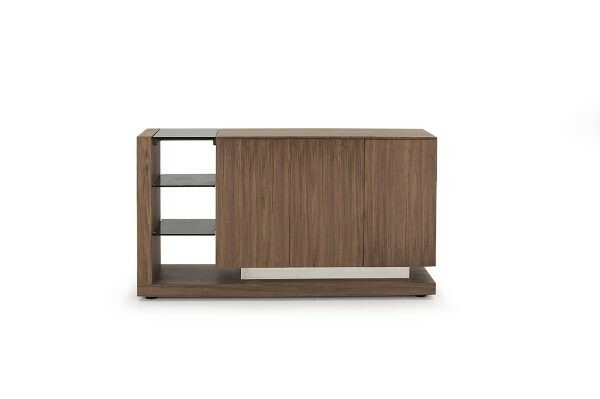 Donatella is a sleek and modern design, featuring a monochromatic marble top and high gloss engineered wood base. The chairs are extremely comfortable and well-padded volcara fabric that will ensure comfort for many hours when entertaining.